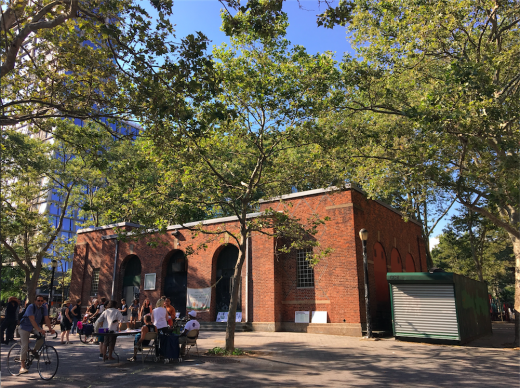 On the northern side of Sara D. Roosevelt Park sits a large brick structure. Once a youth center, the Stanton Building was shut down during a time of high crime in the Lower East Side and is now used only for storage by the Parks Department. Since the late ’90s, there’s been talk of returning it to community use, but that has yet to happen. So, Wednesday afternoon, a group of local activists gathered outside of the building in what was the first of three events intended to stimulate collective planning about its future. 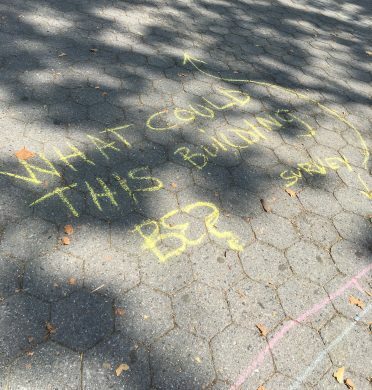 Despite $1 million allotted to new restrooms (in the design phase, as of May), no one at Wednesday’s brainstorming session seemed particularly thrilled about the building’s current state. 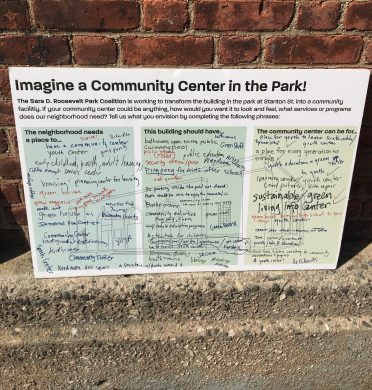 Rather than wringing their hands about it, the Stanton Building Task Force and NYCommons had brought together other local organizations to poll local residents about their thoughts. The event was bustling: folks set up small tables with information, a small group did Zumba routines in the bright summer sun, and members of the youth program of Loisaida United Neighborhood Gardens (LUNGS) wheeled around fresh soil, planting seedlings where there previously were none. Brawer’s husband keeps bees on the roof of the Sixth Street Community Center right next to a community garden, and brought some of his own local honey for passersby to try. Brawer said beekeeping skills could also be taught in a building like this. This building isn’t the only one of its kind, and it’s not even the only one in the neighborhood. The folks at 569 Acres, an organization empowering the community to take unused public land into their own hands, told me they had mapped out eleven buildings in the vicinity that were either not being used for anything or being used for miscellaneous storage. “We’re letting people know how they can access land, it’s available. We have a map online that shows all the boroughs, and we’ve mapped out all the open lots in the city. So it’s a way for the community to get in there and start organizing,” said Francisco, who is part of 569 Acres. He thinks a good use for the Stanton Building would be to shelter homeless people, who already have a fairly steady presence in the park. On July 13, there will be a workshop event that will take this imagining to the next level, where people will discuss the logistics behind the city’s parks and learn how to develop skills to build a grassroots campaign. On July 27, there will be a workshop where attendees can learn more about public spaces and how to ensure they remain accessible to the community. Both events are at 6:30pm in the BRC Center at 30 Delancey Street. 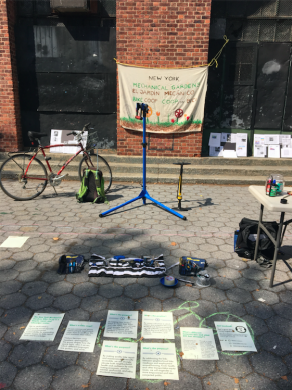 Update, July 11: The original version of this post was revised to include the full names of Josh Bisker and the New York Mechancial Gardens Bike Co-op.